The safety of our patients is our top priority here at AP Smilecare. 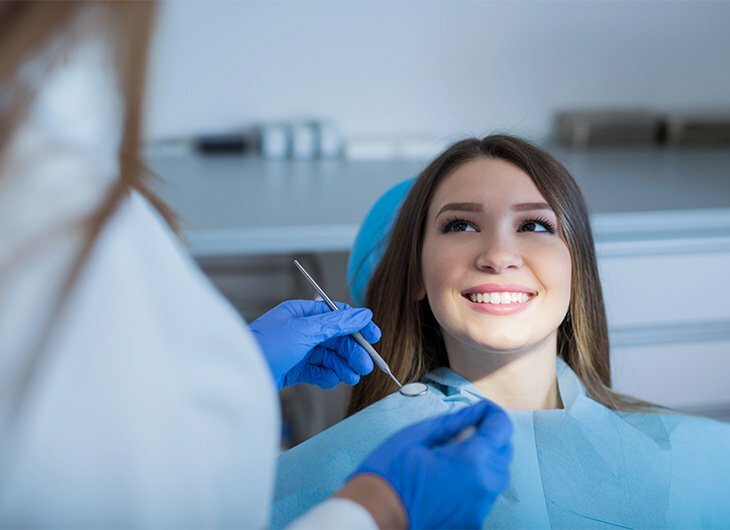 Dentistry is very tightly regulated, and we make sure we always act within recommended guidelines, while being proactive in ensuring your wellbeing. Even with our strict codes of safe practice and conduct, we understand that lots of people can have concerns about their treatment, especially if they’ve never had it before. That’s why this week on the blog we thought it worth going in-depth about how we maintain standards of safety and hygiene throughout our Blackburn dental clinic. The experience and skills of our staff are combined with top-of-the-line equipment here at AP Smilecare, with both together ensuring that you get a brilliant service that gives you flawless results. As we mentioned above, dental anxiety can be a very real problem for some of our patients, will some suffering from a full-blown dental phobia. For this, we offer hypnosis or sedation sessions, which are widely recognised in their success for reducing dental anxiety altogether. This is performed by an in-house specialist, so we know that you’re always getting the level of care you need within our practice. As you might expect, there are very solid industry standards in place for dentistry in terms of how to keep equipment and environments sterile and hygienic. These are outlined in the HTM-01-05 guidelines issued by the governmental Department of Health, and our experts very closely adhere to them here at AP Smilecare. Much of our equipment is single-use only and disposable, so we can drastically cut down on the chances of cross-contamination. This can sometimes happen by transmitting bacteria from one patient to another via re-used equipment, so by disposing of most equipment after a single use we’re able to guarantee the hygiene of our clinic. In case you’re wondering, this does indeed include the tools in our surgical kits. Anything that is re-used – including major tools like drills – are put through an autoclave. This is an advanced sterilising machine which uses superheated steam to render surgical equipment safe to use again. What’s more, we have our own in-house oral surgeon, who is always available to deal with any emerging or sudden dental emergencies. This instant response is far better for our patients than using a consultant – we wouldn’t like to be glancing at the clock too much in times of crisis! Our commitment to your wellbeing extends beyond just the end of the treatment. Much like our aftercare for our skincare patients, we like to ensure that you have the best results possible by scheduling at least one follow-up appointment – generally between one and two weeks later – so we can see how you’re getting on. Occasionally, depending on your specific circumstances, we might recommend another follow-up treatment after that, maybe even two. (Generally though, most of our patients find a maximum of two to be enough.) We make all of our decisions objectively, based on your progress and how you’re getting on with the results of your treatment. For us, it’s ultimately all about you, and helping you to perfect your smile! We understand that dental emergencies rarely occur at convenient times, which is why we run an emergency service that allows patients to be seen without 24 hours. If you suffer an impact to your tooth, find yourself suffering from severe toothache or any other sort of pain, we’re here to help! You can read more in our emergency dental service page. The important thing to take away is that our standards are important to us because they safeguard the wellbeing of you, our patients. If you’ve got any questions or need any help, don’t forget that you can always just give us a call on 01254 297 000, or pop into our Blackburn dental clinic. We’re here to help!